I have been writing positive posts about living in Germany, raising children in Germany, amazing facilities, etc, because Germany IS a great place to live and to raise children. However, I was reminded by a friend (who used to live in Germany) that not everything is perfect and that there are downsides too. I also keep getting emails from people wanting to move to Germany with children, asking about different aspects of life. So I thought I'd counter-balance things a little. First of all, let me explain that I really do believe Germany is a great place to live. After almost 5 years here, I wouldn't still be here if I didn't think it was. It is safe, healthcare is one of the best in the world, (higher) education is mostly free, companies are recruiting. The list goes on. On paper, it is one of the best places to live in Europe (if not in the world), right now. On paper. That is all great and good but it is not real life. What is it like to be an expat? What is it like to be a parent here in Germany? A parent who might not have the same values, the same view on things. This is partly why I wrote these posts. I want other people, expats, parents, to see what life is really like. Here are some of my favourite ones. Our top 9 reasons why living in Germany is great. Some fund facts about living in Germany. 5 untold truths about living in Germany. Cycling as a way of life. Why being a child in Germany rocks. 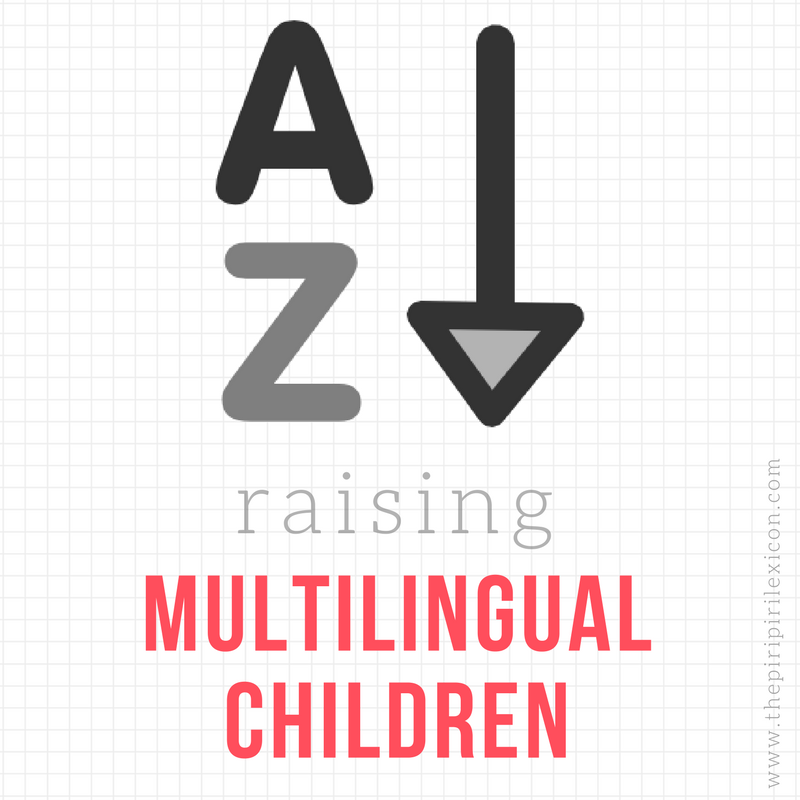 5 things I like about German parenting. Having a Baby in Germany: pregnancy, giving birth. You can read all of my Germany-related posts here. Honestly, I also write these posts because on some days, I need to remind myself about why I am here and why Germany is great. Because, man, let me tell you, I do not feel like it is the best place in to be every day! The rudeness of some people really gets to me. The coldness of the average stranger in the street who won't return your smile or won't move for you and your pushchair is annoying. The lack of discipline: setting clear rules from the outset to avoid behaviour issues later is not that common (even in classrooms). The overall let-them-be/do approach can be really un-nerving: nothing worse than seeing a 5-year-old girl dishing out insults to everyone while mum is happily waiting downstairs because 'she is to be independent'. The bluntness of adults when it comes to telling you things as they are, when all you need is a little encouragement and diplomacy, is down right disconcerting. The lack of real German friends (by real I mean friends who are not either expats or have been expats themselves) after 5 years makes me wonder if it is my introverted self that is to blame or the locals. The hurdles a working mother has to jump through to get her kids taken care of when kids have to leave school at 1pm. The assumptions that mothers do not work. The list goes on. These things need to be mentioned. Germany is not all about positives. Alas, no country is perfect (or else we would all aspire to live in it). 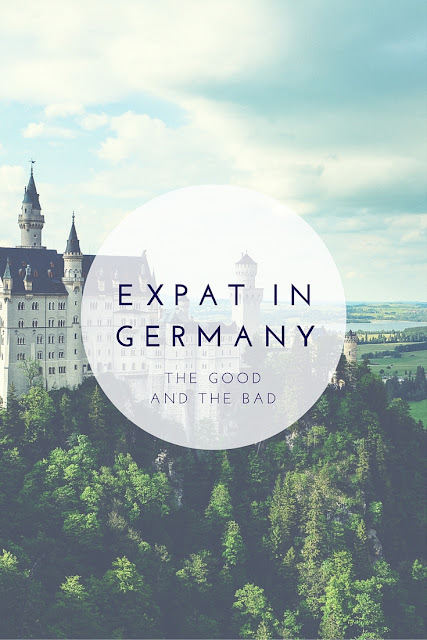 Germany will not be my happily ever after place (Did I really write that? Will my children hate me for this?). We will move away (at some point, I think). If work wasn't so good to us, we would have, most likely, left already. Germany is not us. I truly believe some countries fit different people better than others. As we all place more emphasis on some aspects of life, different countries fit different people better or worse. Germany is not for everyone. It is for us, right now. But it MIGHT not be forever. What do you think? Can a country be 'not for you'? Do you live in Germany? What do you like or hate about it? 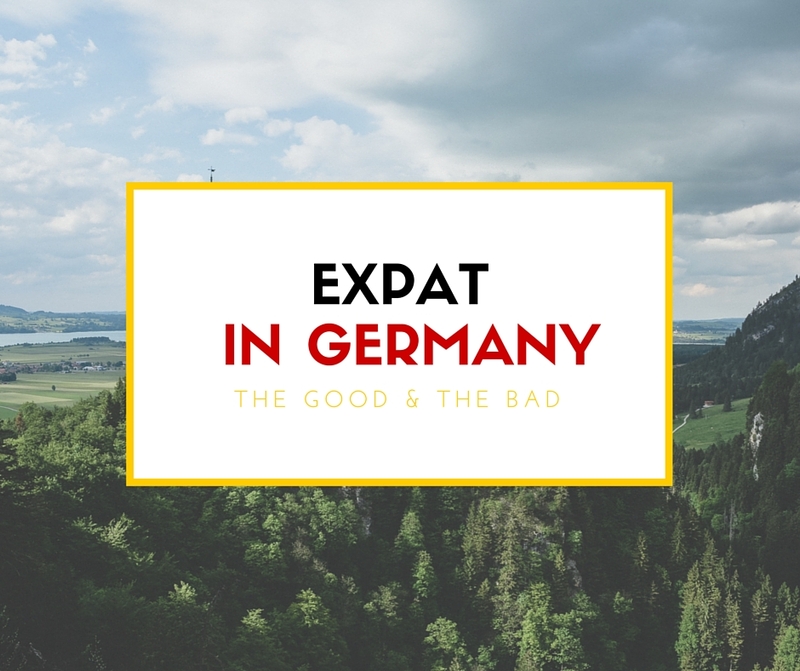 Hi Annabelle, I discovered your blog a while ago and I always find it interesting to read about your expat (and parenting) experience in Germany. I am also a French expat and, as a matter of fact, I also live in your area - though not in Karlsruhe (I wish! ), but in Landau. I agree with you on the fact that Germany offers a good quality of life, and it is a good place to raise small kids. I love being able to cycle to work, and for my son to be able to walk to school on his own and to play outside with his friends after school. I also find that Germans are generally pretty laid-back and uncomplicated. For example, in a crowded café or Biergarten, people will usually offer you a seat at their table, and everyone will move a little to make space for you. I'm not sure this would happen in France. These are small things, but I have come to appreciate them a great deal. On the other hand, some things also get to me. You already mentioned the bluntness or rudeness of some people, which is true. Another thing I'd like to mention is the importance given to performance and to "functioning"- but maybe it is more a sign of the times than a specifically German trait, I'm not sure. It's just that sometimes my colleagues seem to take their work so seriously that they lose perspective (and their sense of humour!). I can imagine why you would say that Germany is not "you". To some extent I can relate to that, even though I've been here a really long time now and I speak fluent German (which definitely helps). For the time being there's no talk of moving away, especially since our son, who was born here, would be devastated. But my husband (who is German) and I could imagine living somewhere else later in life, either in France or in Northern Germany, where he comes from and where we used to live as students - and where I, strangely enough, felt more at home than here in the South (maybe it was the sea?). Thank you for your message. Ah I miss the sea too. I agree with everything you said. Cycling to work and walking to school are great things I love here too. Oh god. In all seriousness the mothers not working thing drives me crazy. It's the reason I can't stay here. Nothing is set up conveniently for both parents to work and while I love my kid I haven't had a 9-5 company job in going on five years! I can't imagine how I'd get all that German housework done or run all the errands if I were working a 40 hour week and I am NOT the kind of women who finds deep life satisfaction at the bottom of a laundry basket. I miss drive through ATMs and stores open 24-7 plus a house big enough to contain the mess of family without needing to be cleaned every 3 days. I think Germany sounds great on paper but I think it's really only practical if one spouse is happy staying home and that just wouldn't work for us. I kind of agree with you there. Germany expects one person to stay home especially when you have kids. Even school hours are mostly completely impossible to manage with two jobs (although this is changing slightly). And stores that are closed on Sunday was a really tough one for us to adjust too. @Sara: Yes, you're absolutely right, being a working mother is still a real headache, although the situation has improved since I arrived here (when working moms were considered "Rabenmütter" and had to deal with open hostility and nasty remarks from all kinds of people - Again, this habit Germans sometimes have to loudly state their opinions, even if nobody asked!). And there are also differences, depending on which "Bundesland" (and city) you live in. Here in Rhineland-Palatinate, Kindergarten is free from age 2 on, and it wasn't too difficult to obtain a "Ganztagesplatz" until 4 o'clock. My son's school has a well-functioning afternoon-care until 4 as well. But, of course, it still wouldn't work without an extensive network of other families. Especially for us expats who usually don't have one or two sets of grandparents ready to step in when needed. Hi Annabelle, I'm an American living in Germany with my (American) family. I work at a local German school, my kids go to the same school and my husband works for a German, international company. All I can say is, I agree with your entire post. It's like you're speaking with my voice and my thoughts. Thanks and warm greetings! Thank you so much. That makes me feel really happy.